Today, the Ethiopian Real Estate market is hotter than ever, especially after the new reforms being introduced in every sector of Ethiopian society. These reforms have reignited the real estate market in Ethiopia due to the ever growing demand for homes from both the local population and the Ethiopian diasporas. Be that as it may, when it comes to investing one's life savings for a home, several factors come to the forefront. For example, it is not a new phenomenon that Ethiopian real estate commpanies and developers have bad reputations for not delivering on time and for cost manipulation. While some factors could not be controlled by the developers, it still remains that some untrustworthy souls looking only to enrich themselves at the hands of innocent home buyers have run rampant in the sector. In order to help people choose the right Ethiopian real estate developer, we have created a list we believe to be of some of the best in the industry. Tsehay Real Estate Plc. became established in 2011 by China Geology Corporation Overseas Construction Group Ltd. (CGCOC) and Red Fox International Business. These companies would then contract Qian Tang Construction Plc. to build the complex, which began in 2013. Tsehay Real Estate is the first Chinese real estate company in Ethiopia and the Poli Lotus International Center was created with the purpose of developing a new standard of living on a 30,000 sq.meter plot of land located in an important part of the city. The project includes high level office buildings, highly rated restaurants, a shopping mall with cinema, luxurious apartments, sports and gym venues, playgrounds, and underground parking. Built at the cost of 3 billion ETB, the 13 buildings have 12 floors with only two units per floor. The complex has a property management company setup which handles security, cleaning, gardening, maintenance, etc. Technology allocated to the buildings include, intercom with video systems in each apartment, perimeter security and protection through CCTV cameras and uniformed guards at every entrance. Water and electricity supply are setup within the compound, which means there is 24 hour supply of both. Each building has multiple types of units, ranging from 2 bedroom units of 140 square meters to 5 bedroom penthouses of 275 square meters. All 13 buildings will have 646 units, 300 of which are 2 bedroom, 1 master bedroom, and 1 guest room of 144 square meters. Each unit will have access to parking area for one car (additional cost for more parking), and ground level units will have gardens, while those above will have terraces. Buyers will be required to make a down payment of 70% for the units they want to purchase, with prices beginning at 1,100 USD per square meter; the price will increase for units higher on the buildings. Please contact the company for updated prices. Noah Real Estate Plc. was established in 2012 and it is the sister company to Great Abyssinia Plc. which brought several well received products to the Ethiopian market, such as, Abyssinia Coffee, Prigat Juice, Tulip, Aby Soda, Abyssinia Springs bottled water, products made with Nestle, etc. Noah Real Estate is hoping to transfer the company's good name towards the often unreliable real estate market in Ethiopia. The company has sites in fourteen different locations and has delivered 3,600 apartments, houses, and commercial properties to their clients so far. Recently, Noah Real Estate built and finished 7 floored residential complexes known as Noah East Gate Apartments. The units have 2 and 3 bedrooms ranging from 86 square meters to 172 square meters, and their prices range from 2,000,000 ETB to 4,000,000 ETB. The Noah East Gate Apartments are located in an important part of the city, called CMC and the apartments will have waste management systems, water tanks, and generators. Payment for the apartments are done in 4 installments, starting with a down payment of 30% when the residence is 50% complete and ending with the last 15% payment upon transfer of title. Noah Real Estate is also delivering about 454 homes around the Summit, Ayat and Bole areas of Addis Ababa, all of which are prize real estate areas. Metropolitan Real Estate is an American organization that has business dealings in the US and Turkey. As of 2008, they decided to enter into the Ethiopian real estate market. Metropolitan is mainly focused on the luxury living market, with their apartments located in prime real estate areas such as Sarbet and Bole. Their first major residential project in Ethiopia was Metropolitan Sarbet Gabriel Apartment designed with a modern European luxury look. This luxury apartment developer is currently selling Bole Tower Apartments, Bole Midtown Apartments, Metropolitan Westview Apartments, and the above mentioned Metropolitan Sarbet Gabriel Apartments. 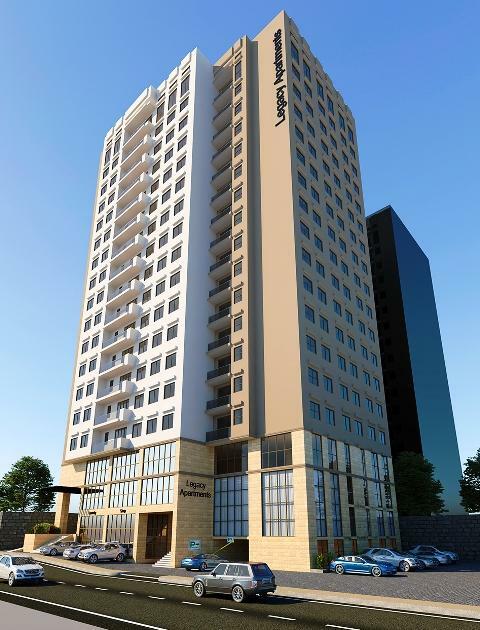 Metropolitan Real Estate luxury apartments come with 24/7 uninterrupted electricity, security, large water tanks, high end elevators, and large parking spaces. Facilities include a fitness center, club house, and common terrace. 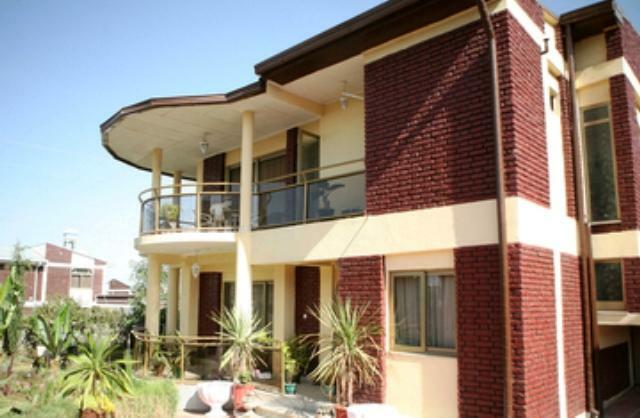 Flintstone Homes is considered to be one of the most reliable real estate developers in Ethiopia. Tsedeke Yihune, the CEO and founder began with Flinstone Engineering in 1991 and later created Flintstone Homes in 2008. Flintstone Homes' first major real estate project was called Twin Crossings and it had 40 villa houses, 60 townhouses, and 450 condominiums. They completed this massive project within a year, and it became the first time that an Ethiopian real estate company finished a huge project on time. Currently, the company has many finished projects that are currently for sale. Prices begin from 20,000 ETB per square meter. An apartment in Megenagna for example costs about 2,545,000 ETB. Sunshine Investment Group is without a doubt one of the most popular real estate companies in Ethiopia. When thinking about real estate in Ethiopia, the name Sunshine will always come up and this is all for a good reason. The founder and president of Sunshine Investment Group is Samuel Tafese, who has over 33 years experience in the construction sector. His hard work, strong ethics and efficiency has enabled him to build 984 kilometers of road projects, 427 villa houses, and 3,254 apartments throughout Ethiopia. With a track record such as this one can understand why this company is considered one of the best real estate companies in Ethiopia. Sunshine has received the International Diamond Award on Quality in 2016, the Century International Quality ERA in 2014, and the International Quality Summit in 2012. Currently, Sunshine Investment Group is working on a major residential project known as the CMC and Bole Beshale Real Estate Project. These homes are found in the Bole Sub City, the CMC project is on a 138,500 square meters plot while the Bole is on a 100,000 square meter plot. There are 280 apartments, 22 villa houses on 250 square meter plots, 43 villa houses and 33 apartments, and 175 square meter villa houses. Each of these are under different phases of construction and delivery. Ayat Real Estate is a share holder's company that was created in 1997 and is one of the pioneering Ethiopian companies in this sector. They have managed to complete over 5,000 residential units, making them one of the most experienced in this sector. Ayat Real Estate is indeed the largest construction company focused only on residential homes in Ethiopia. They had a bumpy beginning when they were first building and selling the Ayat villa houses in the Ayat area, with rumors of low quality building materials being spread. Today, the Ayat villas which once sold for about 375,000 ETB are now being sold in excess of 20,000,000 ETB. Furthermore, in order to pass on the savings to its clients, Ayat Real Estate has bought and built factories for the purpose of producing the building materials they need, such as terrazzo tiles, concrete hollow blocks, marbles, prefabricated slabs, septic tanks, metal doors/windows, wooden doors/cabinets, and more. At the moment, one of their largest projects is in the Ayat area of Addis Ababa with numerous apartment buildings being built and sold. Their prices are also considered relatively fair. Gift Business Group, established in 2004, is made up of Gift Trading, Gift Construction, GNM Industries, Gift Building Materials, Gift Nails Manufacturing Plc., Gift Property Management Plc., and of course, Gift Real Estate Plc. Gift Real Estate has been building houses for a little less than a decade in Ethiopia and has built up a reputation that has made it vital to appear in this list. Due to their success at building homes that satisfied and surpassed the people's expectations, Gift Real Estate Plc. is now planning to expand throughout East Africa. Their ownership of manufacturing industries targeting the construction of homes and buildings has helped them pass down the reduced cost of sourcing materials on to their clients, thereby providing costs that are considered fair in the industry. Both their location sites are in the CMC area, which is currently booming and a hotspot for new home owners looking for a place away from the bustling center of the city. Gift Real Estates delivery time is also considered exceptional, as they only require a year and a half to build homes and two years for apartments. The availability of beautiful scenery is a plus as the homes are located on elevated surfaces providing the home owners with a vista view. Green areas, playgrounds, shopping venues and common parking provide more perks for their clients. Habitat New Flower Homes Plc. was established in 1999, by Engineer Berhane Abate and Engineer Tadesse Haile Selassie, who are the founders of Berta Construction which was created in the late 1960's. Berta Construction is a behemoth when it comes to the construction sector in not only Ethiopia, but in Kenya also. The company has built bridges, roads, dams, factories, buildings, as well as 4 luxury hotels. The founders were also praised by the Prime Minister of Ethiopia and also received the Outstanding Chief Executive Award. Using their well established accreditation, Berta Construction launched Habitat New Flower Homes along with factories that will support its operations, such as, a marble factory, a roof tile factory, wood and metal workshops and a concrete pre-fabrication plant. For the time being, Habitat New Flower Homes is building luxury homes in prime locations, but envisions tackling the housing shortage by building low cost affordable homes in the near future. Enyi Real Estate was established in 2005 has since been engaged in the building and delivery of luxury homes and apartments. Using the technical backup of their respectable and efficient subsidiary companies such as Enyi Construction, Finfine Furniture Factory, Enyi Ethio Rose, Unicorn Plc., Ethio Cement and Rainbow Paint, they have managed to so far complete the immaculate Roseland Luxury Homes on Jimma Road. Their current work includes the Bole Palm Housing Development Project which is four kilometers away from Bole Michael Square and a short seven minutes away from Bole Road. An attractive offer from Legacy Real Estate includes their bank financing options for the Ethiopian diaspora paying in foreign currency. Currently, Legacy Real Estate has completed the Legacy Apartments which are truly luxurious with many features available for the homeowner. Some of the features include: fire alarms/smoke detectors, full fire protection system, 24 hour CCTV security systems, entrance security, centralized satellite TV system, telephone and internet systems, mechanical ventilation systems, intercom systems, fully equipped gyms, laundry service, and private parking areas. Evergrand Real Estate Plc. was established in 2013 as a researcher, building material supplier, manufacturer, and developer. They have helped build massive projects such as the Tsehay Real Estate Project. In 2014, Evergrand established their own real estate development company and has already completed their signature project called the Sky Apartments. They are currently working on several luxury apartments located throughout the city in prime locations, such as Kasanchis. Considering their location, Evergrand Real Estate's luxury apartments are also considered affordable, with a base price of about 110,000 USD or about 2,970,000 USD. Yotek Real Estate which is a subsidiary of Yotek Construction Plc. was created in 1998 by Yohannes Teklay. The company has undertaken various massive projects such as the construction of buildings, roads, factories, and bridges. Yotek has completed different projects worth over 9,000,000,000 ETB and is at the moment hard at work building a project worth 4,500,000,000 ETB. With over 5,500 employees working for Yotek, they are well positioned to handle any real estate jobs demanded of them. The types of houses they are offering at the moment are villas of 250-300 square meters, G+1 and G+2, townhouses and apartments. Their real estate areas offer the following facilities: tennis courts, basketball courts, commercial center, green areas, gym, sauna, steam bath, etc. Pluto Real Estate is building their flagship project called the CMC Residential Project on the CMC road close to ALTAD, which is a location that offers great access to schools, hospitals, supermarkets, shopping malls, and even the new light railway station. An aspect that sets their project aside from the others is that Pluto Real Estate claims to offer "not just an apartment" but an area with more than 6,000 square meters of pedestrian friendly gardens and green areas. Hassenias Real Estate is a relatively newcomer to the Ethiopian real estate development market but it has been lauded for their beautifully designed villa houses that they build. They offer plot sizes of up to 500 square meters for villa houses that can be G+1 or G+2. Prices for this type of house ranges in the 5,000,000 ETB to 6,500,000 ETB depending on if the client wants Hassenias Real Estate to undertake the finishing work or not. Nova Real Estate is another relatively newcomer to the Ethiopian real estate sector but has gained some popularity due to their focus on luxury villa houses and apartments. Sales Representative Office: Bole Medhanialem, Gulf Aziz Building, room number 120, Vinta Trading Plc.